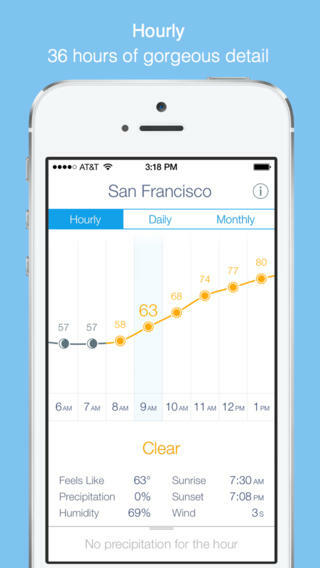 Weather Line - Accurate Forecast, Temperature Trend, and Monthly Average ($2.99) by Off Coast LLC is yet another iOS 7-ready weather app that aims at following Apple’s Human Interface Guidelines by presenting content in a clear, concise, and even innovative way. 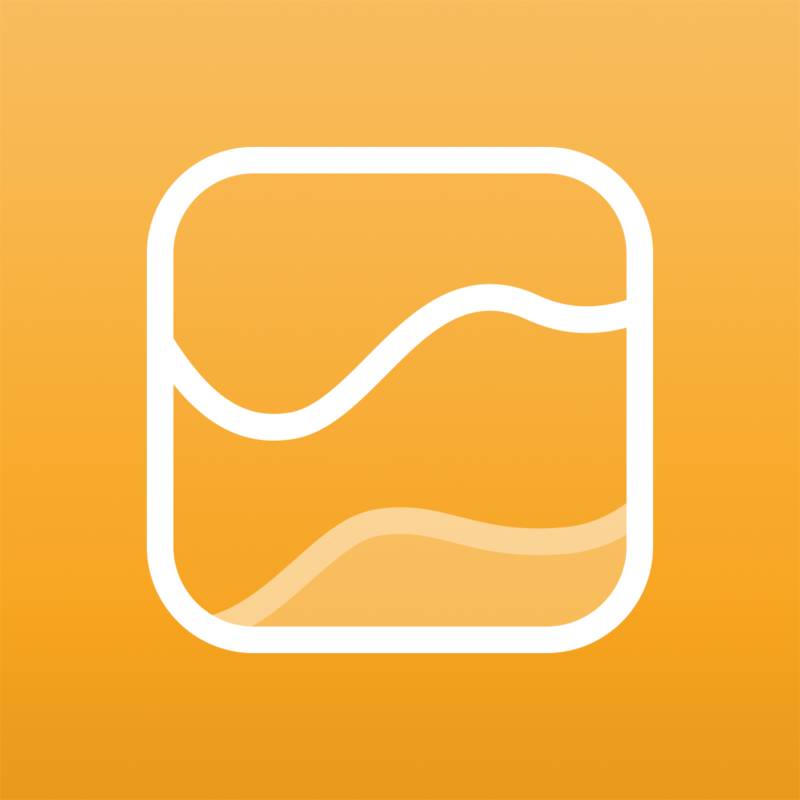 Similar to Shade, another weather app that I recently reviewed, Weather Line provides detailed information about outdoor conditions through graphical representations. 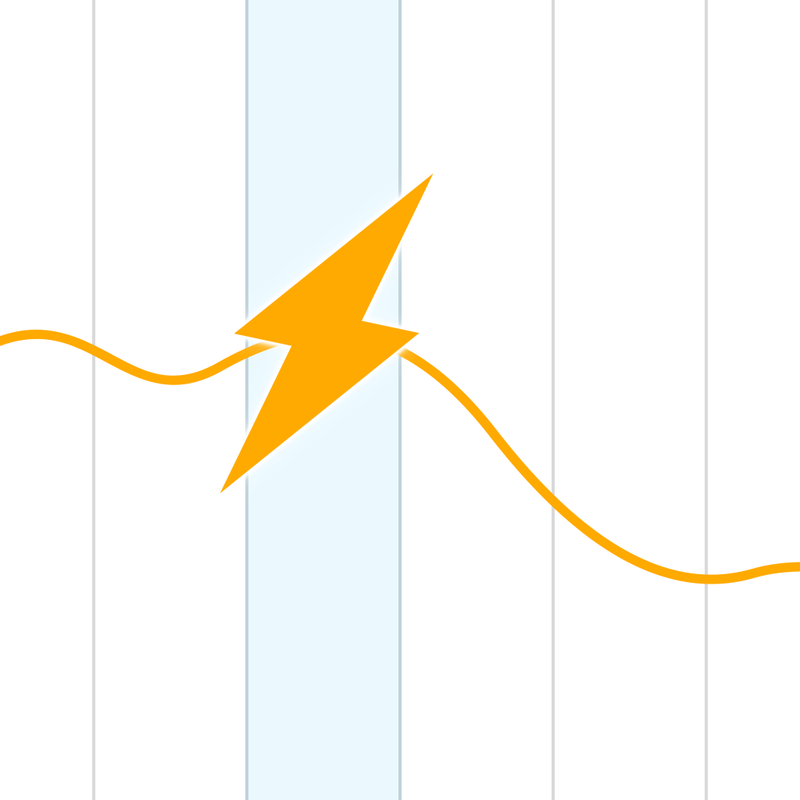 All of Weather Line’s data, which is highly accurate since it’s frequently pulled in via forecast.io, is presented with line graphs. There are three main views in the app. 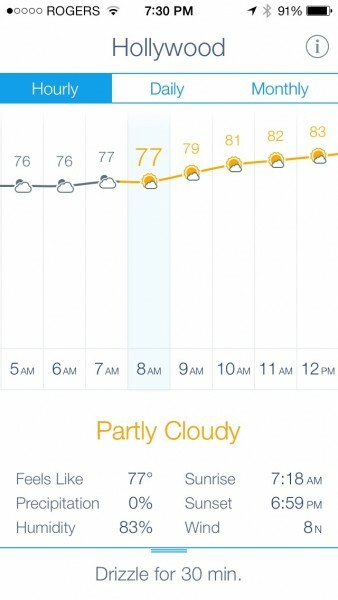 The main one displays an hourly forecast through a horizontally-scrollable graph. There is also a daily view, which shows plots of the high and low temperature for each day across one week. Finally, the monthly view illustrates the average high and low temperatures across every month from January to December. Along with a line graph, each section also contains detailed information below it, mostly pertaining to the Sun’s activity, atmospheric conditions, and precipitation. 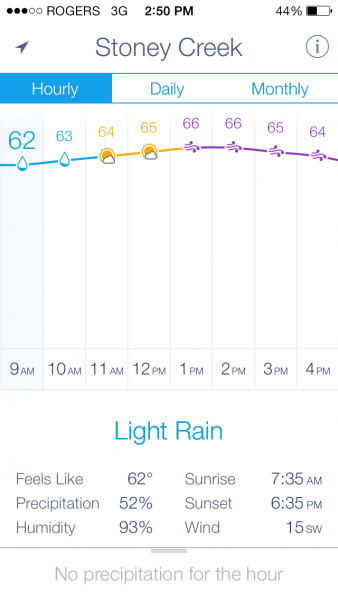 Since Weather Line frequently pulls in information from the forecast.io weather service, it is able to provide up-to-the-minute details about precipitation. Swiping up on the tab located near the bottom of the display will reveal a graphical representation of precipitation over the next hour, if any is expected. 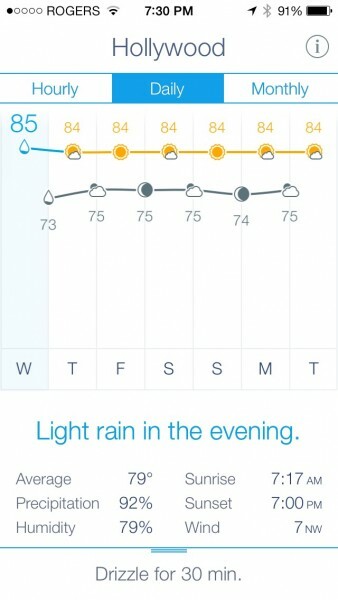 This display of information is similar to the one found in Dark Sky, and is useful to have in one’s primary weather app. With that said, Weather Line does not provide push notification alerts for precipitation like other apps with access to similar data. While I would have liked to see this feature included, it is still experimental among other apps, with reliability and battery usage being a concern. In a very Apple-like manner, the developer has left out this feature for the time being due to those factors. 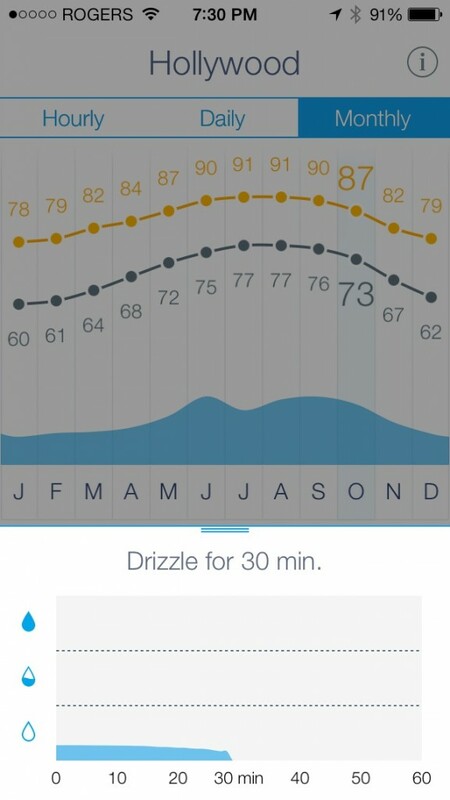 Finally, one of my favorite aspects of Weather Line is the frequent attention to detail that is displayed throughout the app. 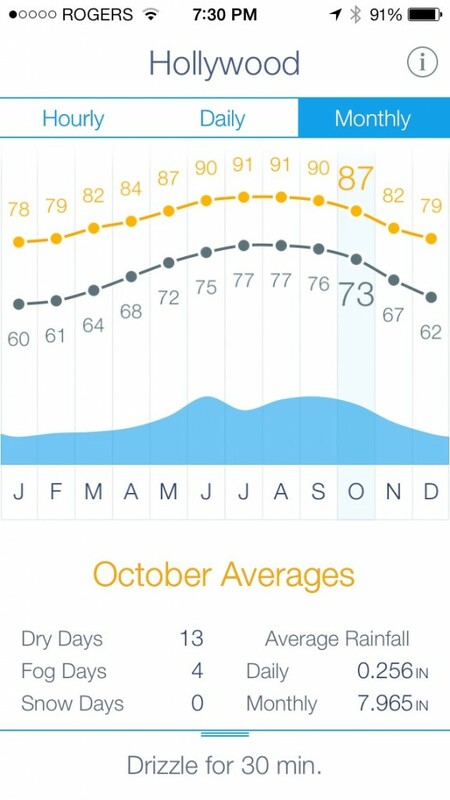 For example, segments of each line graph are color-coded, representing various types of weather conditions. Also, each plot is represented by a small glyph that also portrays conditions. When adding multiple locations, even the local time for each one is used. In essence, this almost turns Weather Line into a world clock, as well. 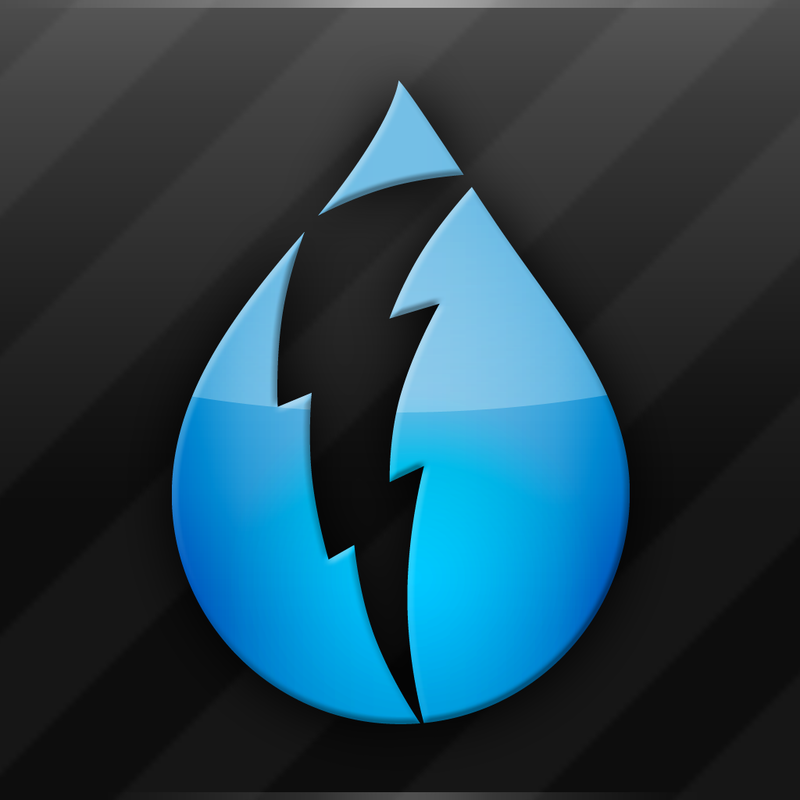 After using it on a daily basis for about two weeks, I have decided that Weather Line shall be my go-to weather app until something else grabs my attention. While this may not be a huge deal, since new weather apps are released every day, it is something to consider, especially since this category is extremely competitive and well-developed. If up-to-the-minute weather data interests you, Weather Line is an app that should be on your wish list. It’s available in the App Store as an iPhone-optimized app for $2.99.